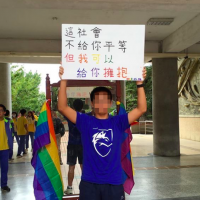 TAIPEI (Taiwan News)—Taiwan’s LGBT groups participated in Tokyo Rainbow Pride 2018 on Sunday, joining other groups from around the world. 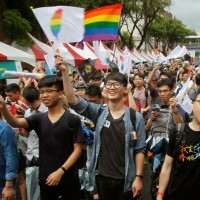 According to media reports, the annual LGBT pride event attracted a record breaking attendance of over 7,000 participants from 37 LGBT groups, supporters, businesses from around the world, and embassies in Japan. 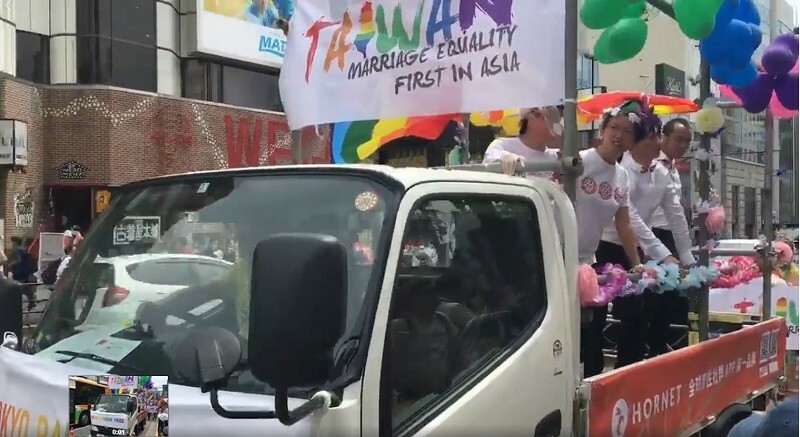 The Taiwan Alliance to Promote Civil Partnership Rights (TAPCPR) also participated in the parade, displaying large banners printed the words“Taiwan--Marriage Equality the First in Asia” and walking down the street to the tune of Taiwanese music. 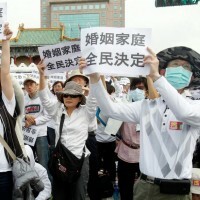 This year’s Tokyo rainbow garden party was held on May 5 and 6, attracting nearly 50 big-name enterprises to set up stalls, including Google, Facebook, Sony, Starbucks, GAP, and Levis, the reports said. 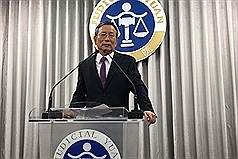 The TAPCPR and the Taiwan Red Ribbon Foundation also had stalls in the party, according to the reports.